We are proud of our craftsmanship and will stand by it. If you are dissatisfied with any stone wrapped jewelry, or other non-personalized jewelry, you can return it and we will credit your charge card. There is a 10% restocking charge and the refund does not include shipping and handling. 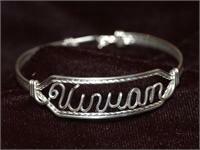 All our personalized jewelry is made to order and, therefore, is not returnable unless we spell a name incorrectly. Then we will happily remake the item. 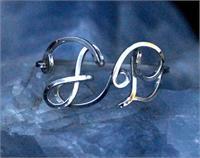 If you spell a name incorrectly, all pieces of personalized jewelry must be completely remade. You, therefore, must order another piece of jewelry. The only exception to this is the Name Bracelet. We can replace the name in the Name Bracelet. There is a $12 charge for this plus shipping and handling.